The fast and easy way to manage your checking, savings or credit card accounts. Electric CheckBook puts you in control of your finances. Our quick and easy application gives you access to your account ledgers from any web browser. Enter payments and deposits through a familiar interface. The account ledger descends below displaying your balance. Not every account has an official ledger. Electric Checkbook is perfect for keeping track of cash or debts that are not held by a lender or bank. You can share ledgers with whomever you invite. 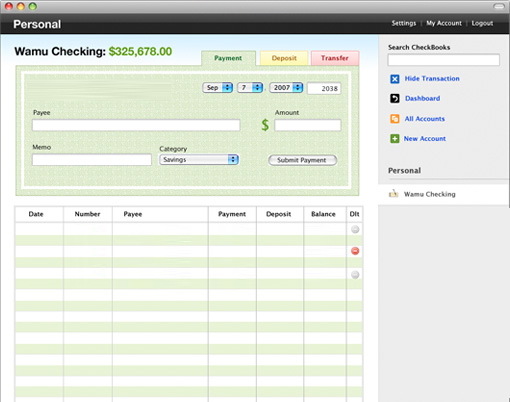 Electric Checkbook allows collaborative accounting from anywhere.